Have you ever added a beautiful line of decorative stitching to a garment or a quilt and was disappointed by the finished look? Was the fabric all scrunched up around the stitches? Don't fret! I have the solution for this situation and it is very simple: stabilizer. Most decorative stitches are similar to a satin stitch: there are lots of thread close together in most decorative stitches and they need more support than just fabric underneath them. This is where stabilizer comes in. Just like the foundation of a building supports the floors above it, stabilizer provides the right foundation for decorative stitches. There are different kinds of stabilizer: tear away, wash away, and heat away are some of the more common ones. I like to use tear away stabilizer in my projects as it is economical and easy to remove. Yes, I would suggest a removable stabilizer in my quilt projects. Garments may already have stabilizer in the areas where you want to add a decorative stitch, but if not, a stabilizer that will remain in the garment is common. There are also various weights of stabilizers, but I prefer to use a regular weight tear away stabilizer and add more layers of it underneath if that is required. It's always a good idea to make a sample first when you want to use a decorative stitch to ensure that the settings for the stitch and the stabilizer are working well together. One of the many types of fabric stabilizers available to use. Find more by clicking above. In the video below, or on my YouTube channel, you can see the enormous difference that stabilizer makes when adding a decorative stitch to your project. If you're having problems with your decorative stitches turning out the way you want them to, try adding some stabilizer underneath your base fabric. I'm sure this will make all the difference in the world. 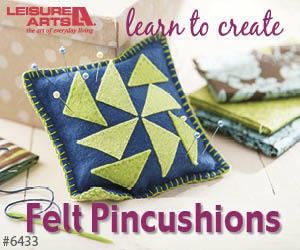 Do you add decorative stitches to your projects? Let me know your favourite type of stabilizer in the comments below. P.P.S. I am an Amazon affiliate and as such will receive a small amount of compensation if you purchase products by clicking through the links in this blogpost. Thank you for continuing to allow me to create free content.